"Who" says you can't find real wisdom in cheeky British science fiction?! I am an unabashed fan of Dr. Who, which has been on the air since 1963 and is the world's longest running science fiction program. Those in the know will recognize the phrase on my Cafe Press t-shirt as a reference to the show's iconic blue police box otherwise known as the TARDIS. If you don't get the reference, this t-shirt is not for you. If you do get the reference, I think you're cool. Like bow ties. Bow ties are also cool. If you don't get the bow tie reference, you're still cool, but not as cool as those "Who" do. The quote above is from the Eleventh doctor (when a show has been on as long Dr. Who, the lead actor must, but necessity, change from time to time). The tenth and eleventh doctors were my favorites (the show is now on to the twelfth doctor). The eleventh doctor, in particular, made a lot of astute observations about life and human nature that resonated with me (not that I watch the show looking for any deeper meaning - it's a lark). But this quote, in particular, reminded me of these words to live by from Kid President (have you checked this kid out? Seriously, he's awesome! ): "Be somebody who makes everybody feel like a somebody." I love that quote, and I think about it a lot. I hope I am living it. Fictional doctors and child social media phenoms aside, I love this shirt. I'm not really a jeans and t-shirt kind of girl, which is obvious to anyone who knows me even a little bit, but I LOVE a fun or clever t-shirt. And if it's a raglan sleeve baseball shirt, all the better. 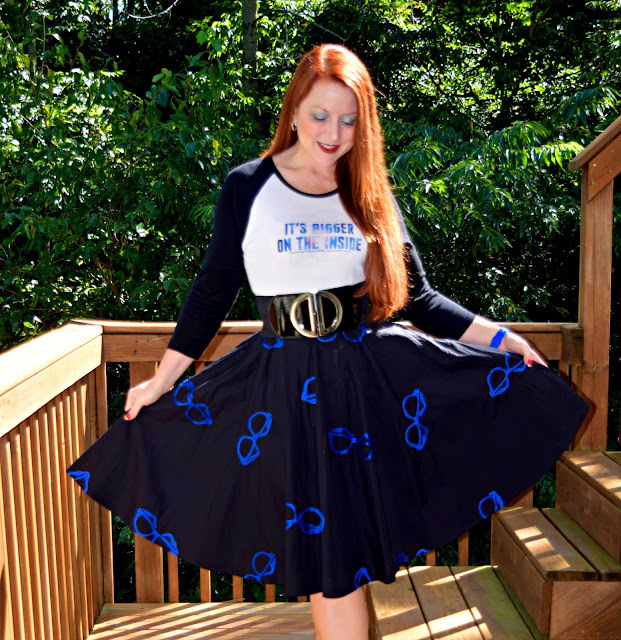 You might not think about wearing a novelty t-shirt with a skirt and heels, but I love it for casual Friday! Can I have your shirt? 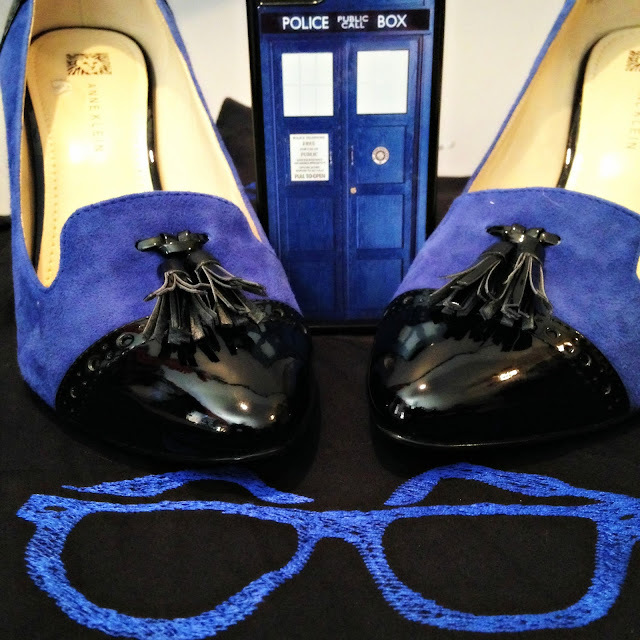 I like Dr. Who. 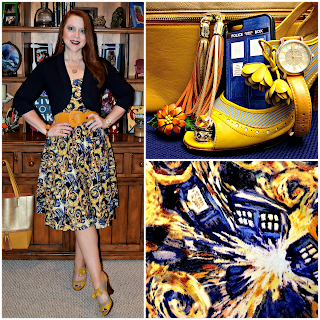 I love, love, love your Dr. Who outfits! 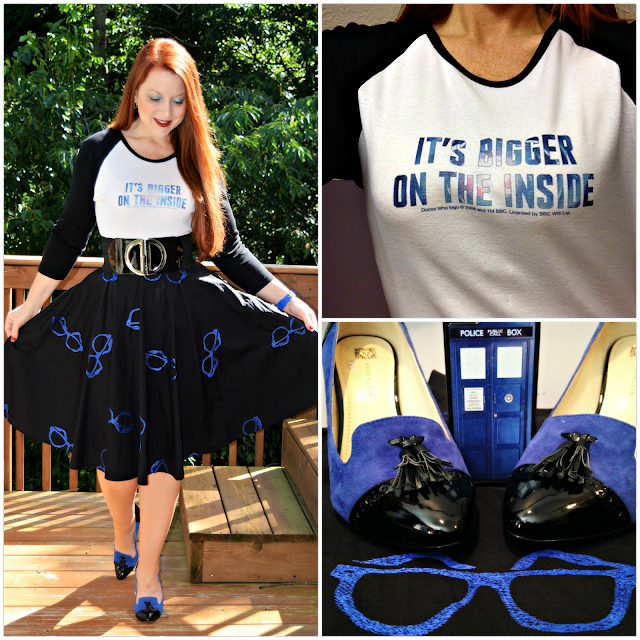 You know the exploding TARDIS dress is my fave but this one is super cute too! !